Downloadable self-help and motivational books on development of confidence, prosperous thinking, law of attraction, attracting and manifesting money, meditation, mysticism, metaphysics, miracles, self-improvement, divine inspiration and guidance. These books contain inspirational prayers, success affirmations, powerful positive words of wisdom and inspiring quotes and healing thoughts. Here you can buy spiritual ebooks by Annie Rix Militz (Both Riches and Honor), Lillian De Waters (Light of the Eternal), Margareth Lee (Alex in Elfinland) and Joseph Benner (The Way Out & The Way Beyond). free self help ebooks free downloadable books by James Allen, H. Emilie Cady, Mabel Collins, Margareth Lee, Peace Pilgrim, Wallace Wattles, Henry Thomas Hamblin, Emmet Fox, Florence Scovel Shinn, Napoleon Hill, Ralph Waldo Trine, and Kahlil Gibran, to increase success, wealth, wellbeing and freedom. Inspiring song lyrics by Kirtana, Peter Makena, Barbra Streisand, Sophia, Twila Paris, & Carrie Norman. Articles by Gary Sigler (also audio), Dr. Robert Muller, Masaharu Taniguchi, Joseph Murpy, Catherine Ponder, Lillian Dewaters, W. John Murray, Joel Goldsmith, Fanny B. James, Emmet Fox and Nick Arandes. We are calling women in India, China, Africa, South America and other socalled "third world" countries to send us an essay or manuscript in English which will be published for free on absolute1.info. Children's stories are also welcome. In this way we want to help female authors to present themselves. We are specifically interested in work that promotes a philosophy of selfworth, loving yourself and belief in yourself and your possibilities. - it must be sent by mail as a typed document. A version on diskette is also welcome. We do not accept emailed work. - work that describes life in a culture that is not western in a way that may be full of humour and is definitely positive is also welcome. Not every word in these books is suited for everyone. When reading we should ask for guidance to recognize truth and information that is beneficial to us. Freedom is already yours! You are creating all the time. Find out how to use the spiritual laws to attract to you what you really want. Let the guiding light of the Holy Spirit shine on your life and inspire your growth and prosperity. I believe you will find these books a great source of inspiration and joy to read. If you would like your ebooks in another format, send me an email. Maybe I can help you. These ebooks can be made available in Microsoft Reader format. Depending on the demand, other formats will be made available. You can download the larger files also as self-extracting zipfiles for Windows. Those files have been made smaller ('zipped') by a program called pkzip. (If you want it, you can download it for free evaluation at: http://highlander.cbnet.ns.ca/cbnet/share/pkunzip.html) If you search the net, you can also find completely free programs like CAM UnZip. When you have downloaded a zipfile (filename.EXE), double-click in the right places, following the prompts. This book also contains inspirational poetry. You can read these and some other poems here. Listen to a wonderful reading of the review of the first 50 lessons of Jesus' Course in Miracles. Our download page for "The Practice of Reality" by Lillian De Waters. A marvellous ebook about the Christ-consciousness. Lillian DeWaters on wealth, abundance and riches and your true relationship with God. Two chapters from THE ONE. At selfhelp.funhowtobooks.com more ebooks by Wallace Wattles. Here you can download "The Science of Being Great" and "The Science of Being Well". Read an article by Tony Mase about Wattles' success writings with links to long lost books by Wallace Wattles. At www.websyte.com/unity/rich.htm you can listen to an audiobook of "The Science of Getting Rich. Or find it on Youtube. The PDF (Adobe Acrobat) file from the book by Napoleon Hill you find in the next table is 1.26 Mb! If you prefer, you can download it in parts. You can also download the text as Word (RTF) file here. Different style, different words, same message as Gary Sigler. Here is a link to the website of reverend Ike with a generous free course and many wonderful audio's. You can listen here to his lecture on the Real Man (59 min15). Please report any link errors.Thank You! Reviews of E-books by Margareth Lee, Annie Rix Militz, Joseph Benner and Lillian DeWaters, that you can buy here. The powerful wisdom of Annie Rix Militz for self esteem, successful living, harmonious relationships and prosperous thinking, An inspiring book that reveals the secrets of prosperity and is filled with positive affirmations. For a limited time you will also receive the two ebooks by Joseph Benner when you buy "Both Riches and Honor". To download the Ebook "Both Riches and Honor" by Annie Rix Militz for $8,00 click on the "Add to Cart" button and collect your free gifts. It's quick and easy! I am happy and excited to announce that this book is now in print and you can buy it at Amazon.com, Barnes & Noble, Walmart and other reputable booksellers. A quick and easy way to get this book is to buy it now for $13,95 at www.lulu.com and have it delivered. 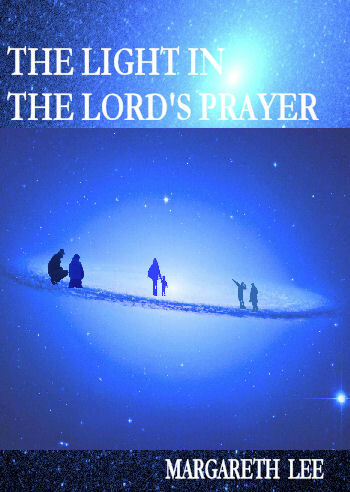 Purchase The Light in the Lord's Prayer with 15% off. Offer ends 8/15/2010. You can also buy it as a downloadable ebook for $5,95. The little book to increase your success, wealth and wellbeing. 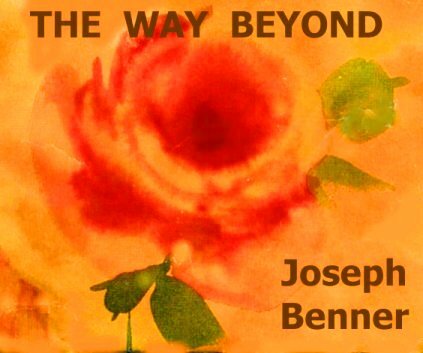 For a limited time you will also receive the two ebooks by Joseph Benner when you buy this ebook. 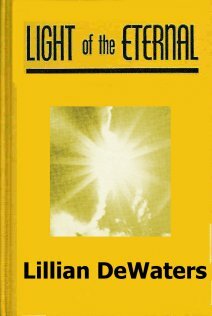 Lillian DeWaters was a very successful writer and teacher of ascension and meditation. Her powerful books are still well-read. To collect your free gifts buy the Ebook now for $5,97 click on the "Add to Cart" button and download them. "Alex in Elfinland" by Margareth Lee. An apparently magical story. However, it's more like The Secret for children. Whatever your age, this book presents spirituality in a way anyone can understand. Read the description of this adventure. Finally the Truth about the world and the ways of the Fae. An eye-opener! Children and grownups alike can find out more about the power of the mind. You have never read anything like this before! A fairy tale of gratitude and inner peace. Margareth Lee's version of 'Three Wishes', a story about the power of words. The following self help e-books contain successful stories, inspirational words and thoughts on meditation, spiritual development of prosperity and abundance consciousness and prosperous thinking, powerful positive affirmations for success, confidence, self improvement, wellbeing and wealth, motivational inspiration, prayers, mysticism, and freedom. Links to free metaphysical, spiritual and classic eBooks; many of the books that are translated into Dutch were downloaded at these addresses. Please support their work any way you can. Jesus' Course in Miracles For all the Course student who found the first chapters rambling, the original version of A Course in Miracles, unedited by the ego-mind. If you really want to raise your vibration and live a life of miracles and holy inspiration, this is for you. Ever since I studied the Course I see parts of Truth everywhere. For the complete Truth this is my manual. If I would have to decide what to take with me to a deserted island, this would be it. Lots of powerful lectures by Joel Goldsmith: Great resource! lectures and audio by Neville Goddard A wonderful and inspiring teacher of metaphysics and LOA (law of attraction) . an insightful explanation of the Law of Attraction (loa) by Steve Pavlina. The Impersonal Life by Anonymous (Joseph Benner) - mystical guide for harmonious and positive living and self improvement. 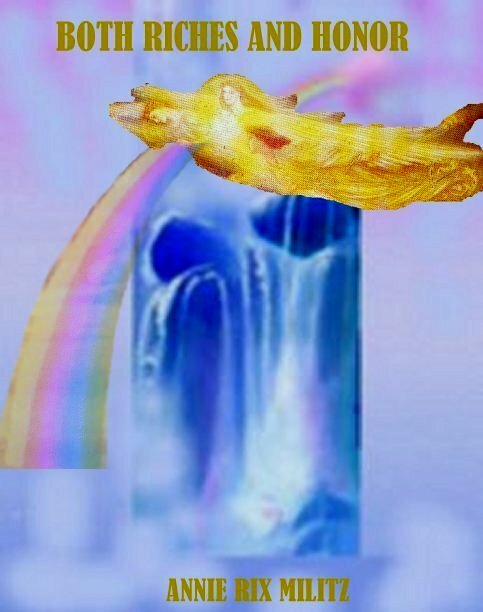 Beginning with the Book of Genesis together with Wonderful Things Seen in the World of Spirits and in the Heaven of Angels very successful in surviving the ages! Gary Sigler's Ministry with his delightful writings and numerous audio's of his inspiring sermons. Northwoods Divine Science: Writings of W.John Murray and Joseph Murphy and others. Also Spanish writings. Diesel-ebooks - free ebooks in the Microsoft lit format and eBooks for palm/ereader. If it's not free it has to be great to be added to this page: the valuable books and audiobooks by Arnold Patent qualify. To apply the law of attraction effectively you have to raise your vibrational level. Arnold's solution to raising your vibration is very innovative and is used worldwide by groups and individuals. Here is truly straight and inspiring talk about the facts of this illusion we call life! It's ending in light and laughter. Here is a page to order his books. Reverend Ike's explanation of the Bible is so lofty and so simple at the same time, anyone can understand it. He transitioned on July 28 in 2009. His body translated into a higher vibration and ascended into light, but the work of this great metaphysical teacher for our transformation will continue to uplift, inspire and enlighten all who come in contact with it. Karen Curry is now our partner, because I love her work, especially with families. Parents have asked for a long time how to go about spiritual parenting or as it is also called, parenting Law of Attraction style. Karen has the answer. She has a very important mission. Imagine living in a world where every child knows her intrinsic Divine value and knows exactly how to create everything she wants in her life. That world is the world I want to live in. And the world I want my own children to live in. To accomplish this she has developed a Family Training and Family Coach Certification Training. Sign up to be trained as a Family Coach here. Here she also offers a great Homestudy Course and Audio for Success. Her Prosperity Bootcamps are life-changing. For a long time I recommended Anisa Aven and now that she has an affiliate program, we have become partners. Anisa Aven is a great life coach, who has real practical advice for the use of the law of attraction and other spiritual laws in your life and business. Go to her website for lots of wonderful free audio's and a free course. Her newsletter is also great. Hayhouse Radio is also a great resource.  I have listened to and recommend Wayne Dyer, Marianne Williamson, Michael Neill, and Law of Attraction specialist Esther (Abraham) and Jerry Hicks. If you want to hear Who YOU really are, listen to Course in Miracles Talks by teachers of God. I have only listened to a few of the teachers listed here. I warmly recommend Glen Palmer, Helen Gordon and Lenny Rose. And of course Arnold Patent. Great teachers who are not sharing their fears with you, who are speaking from the Christ Mind. Connecting with them is a wonderful experience. I am very grateful to have them in my life. They demonstrate the healing of my mind! Earl Purdy, a "Course in Miracles" teacher shows us how to forgive yourself and appreciate yourself, as you are and where you are. On Youtube you find lots more inspiring videos by him. In the next clip you can see him in action. Reading means so much to me, therefore I support Room to Read. They deliver books and educational materials wherever needed. I have also made a special page here to thank those wonderful people. If you donate and do not wish to appear on this list, please mention this specifically.